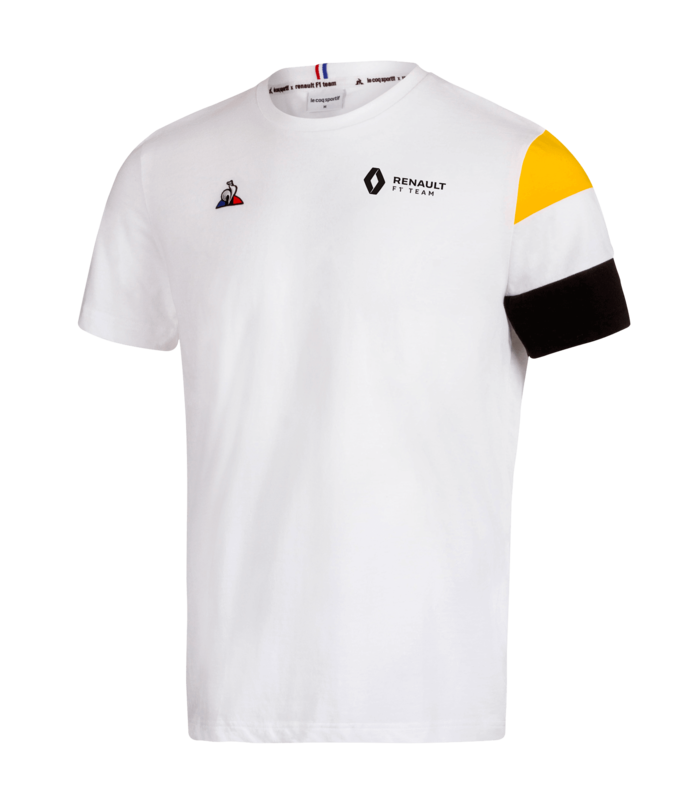 RENAULT F1® TEAM fan men's T-shirt - white. 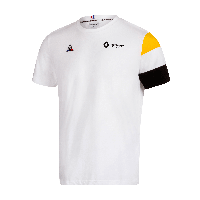 T-shirt developped by LE COQ SPORTIF. Braided flexible tricolor french flag on the neck and tricolor on the left arm. Material: 100% cotton jersey knit 140 gr.